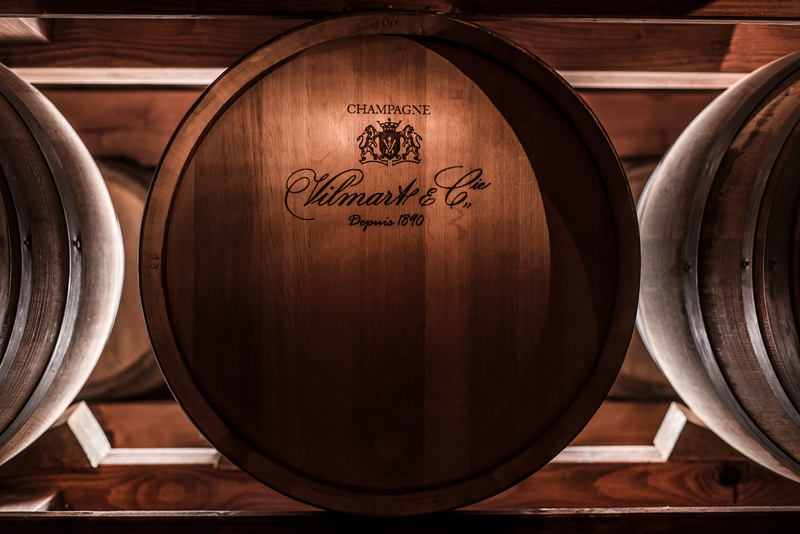 Founded by Désiré Vilmart in 1890, the Vilmart et Cie Estate has produced their own wines since the very beginning. 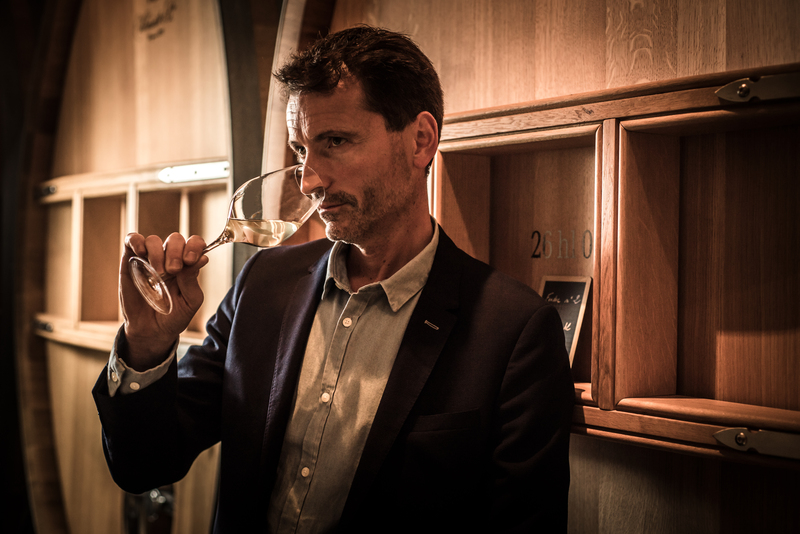 Taking over the reins in 1995, Laurent Champs is the fifth generation to run this outstanding 11-hectare estate in the Premier Cru of Rilly la Montagne. Spread over only 12 parcels, Laurent’s dedication and his life’s work can best be seen walking through his impressive vineyard holdings. 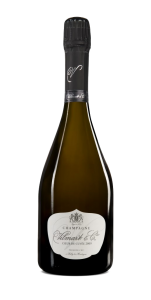 The vineyard is Blanches Voies, widely regarded as the finest vineyard in the village, a rare south facing hillside village in the otherwise north facing stretch of the Montagne de Reims. Blanches Voies is split into two sections: Blanches Voies Hautes and Blanches Voies Bas. 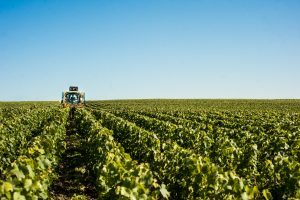 Blanches Voies Hautes is very chalky in the top section and planted to Chardonnay; the lower section, Blanches Voies Bas, has more top soil and is planted to Pinot Noir. Laurent has 5 hectares in this 15-hectare vineyard, which is the source for his vintage wine ‘Grand Cellier d’Or’ (80% Chardonnay, 20% Pinot Noir) and his celebrated top wine, ‘Coeur de Cuvée’ (80% Chardonnay, 20% Pinot Noir). Both wines come from the same vineyard, but different parcels. ‘Coeur de Cuvée’ comes from the oldest vines that are over 60-years-old, while the ‘Grand Cellier d’Or’ comes from vines around 50 years. Vilmart’s vintage wine, ‘Grand Cellier d’Or,’ comes from 50-year-old vines in Blanches Voies and Laurent uses only the cuvée here as well – 2550 liters from a four thousand kilogram pressing – but teh fermentation vessels and elevage is different. ‘Grand Cellier d’Or’ is aged in 4-5th use barriques for 10 months without malo, before racking and bottling. The NV wine, ‘Grand Cellier’ (70% Chardonnay, 30% Pinot Noir) comes from a hillside adjacent to Blanches Voies, facing east, called Grèves. 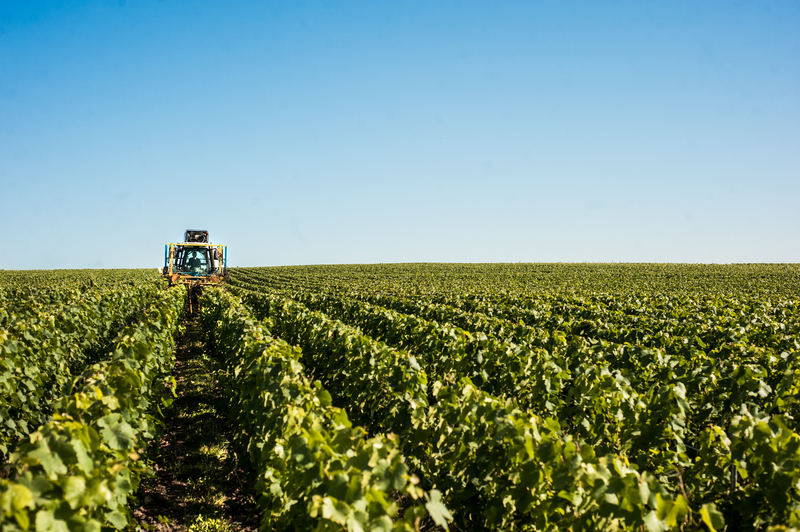 Similar to Blanches Voies, Grèves is divided into two distinct sections: the top section, Grèves Hautes, is planted to Chardonnay while the richer soils in Grèves Bas are planted to Pinot Noir. The 35-year-old vines here are farmed in the same manner as Blanches Voies, eschewing herbicides, chemical fertilizers, and focusing on the health of the soil. Vinification here is different than the vintage wines, however. ‘Grand Cellier’ is fermented and aged entirely in 2200-5300L oak foudre. 75% of the cuvée is aged in 40-year-old foudre from a now defunct cooper in Alsace called Hasslin; the rest is aged in 4-year-old Rosseau foudre. Laurent’s excellent ‘Rosé Rubis’ (90% Pinot Noir, 10% Chardonnay) is also aged entirely in the very old Hasslin oak casks and comes from Grèves Bas and another adjacent site, La Haie Barbettes, which is 30 meters from Grèves. 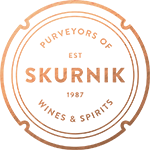 From the “heart” of the free-run juice, this has become one of Champagne’s indispensable wines. This ’09 is a stunning power-vintage of CdC, recalling the 2003 and 2006 though rather less sultry than either; this wine is greater than any glass it’s served in; almost overwhelmingly generous yet finesse-ful, salty and spicy (5-spice mix especially) I think this will grow incredibly complex with time.